Generations Elder Care is a social adult day care program for individuals requiring more assistance than provided at a senior center, but less than a full medical day program. We assist older adults who cannot manage all of the tasks of daily living by themselves. The program helps many people maintain their maximum potential functioning through companionship, activities, and professional supervision. 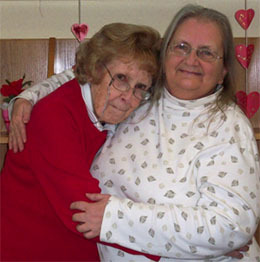 Generations Elder Care offers respite opportunities for families. It helps ease tension caregivers may feel when there doesn’t seem to be enough hours in the day to juggle career, family, and caregiving responsibilities. Our goal is to provide higher quality of life to challenged adults and their families. Elder adults follow a stimulating schedule of group discussions, arts and crafts, games, musical activities, chair exercises, nutritious meals, intergenerational programs, and reminiscing. Rest and relaxation breaks are included throughout the day. Staff encourages the adults to participate in activities specifically designed to give them a feeling of success and to heighten their socialization, perception, and physical abilities. Generations is a pioneer program in New York for providing Child Care and Elder Care in the same facility and offering Inter-generational activities throughout the day as a program option. Generations offers Elder Care at its Gates Center where participants can spend time with children from the child care center. Inter-generational programs link the generations with each other through a variety of planned activities and informal get-togethers. Our little ones from Child Care and the “Grandmas” and “Grandpas” from Elder Care find countless ways to enjoy each other. There are many reasons that older adults might need extra help with daily activities. Chronic illness, a disability, cognitive disorders like Alzheimer’s disease, or maybe the loss of a spouse who provided daily human interaction and support can all come into play. In the case of my beloved grandmother it was just getting older and becoming frail. Living with my mother she enjoyed socialization from our family. But the days could be unsafe as she was left on her own. After one too many falls and subsequent trips to the hospital she entered a nursing home, prematurely, because at the time that was the only option for her. Today programs like Generations are available to support family caregivers who are often juggling many other demands in their life. By attending a day program like Generations, older adults are able to maintain their health status and independence through various social and recreational programs. This also enables them to remain in a in the home, surrounded by those that love them. "Thank you doesn't seem strong enough to show our appreciation for your caring ways for Jack. I'm so thankful he enjoys his time at Generations and that is due to the way you treat the folks there and keep their days full and productive."